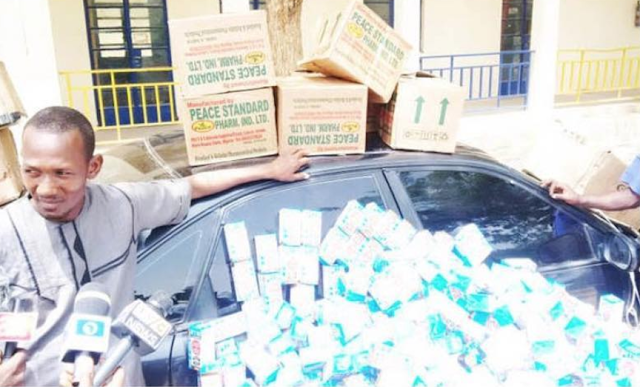 A fake pharmacist and drug dealer, Nura Aliyu, has been arrested in possession of six cartons equivalent to 300 bottles of codeine syrup and about 142 empty packs sold in Katsina State. Aliyu said it was destined to happen, but he regretted his actions. His words: “I regret my actions. I have stopped the business some three years back. It was only yesterday that I went back to it and I was arrested.